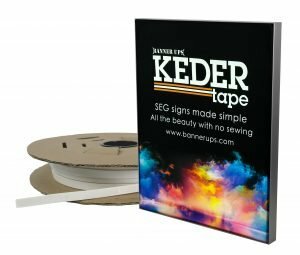 Banner Ups, PowerTabs and PowerTape banner finishing products can offer your shop a simple, inexpensive alternative to grommets in fabricating super-strong banners of any length, instantly. 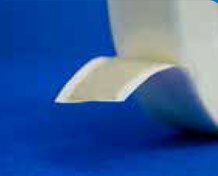 Following is a brief description of all our Banner Ups banner finishing products for your reference. 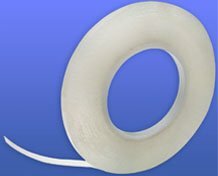 Forget grommets! 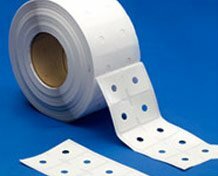 Original Banner Ups banner finishing products are still one of our biggest sellers. 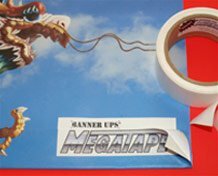 Made with a foam adhesive, Banner Ups aggressively bond to virtually all banner materials as well as Coroplast, Foamcore, and paper. Banner Ups unique shape allows them to be applied at different corner angles as well as along the top and sides of banners. For light duty use, just attach a rope to the folded neck loop. 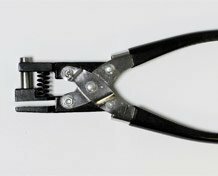 For tougher jobs, run the rope through the tab center hole. 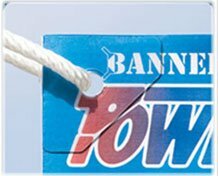 New generation PowerTabs are made of high strength composite film, which is thinner than but just as strong as original Banner Ups banner finishing products. 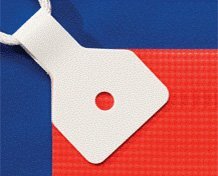 Their corner-friendly shape and thin profile help them blend inconspicuously into the banner surface. 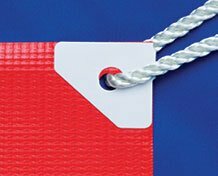 Run the rope through PowerTab end loop for indoor applications, or through the pre-punched tab center hole for outdoor banners. These are perfectly transparent and designed for inkjet, digital, and other full color banners. Regular white Powertab are made of high strength composite film which can be useful for outdoor use. 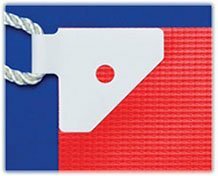 Banner Ups® BravoTabs are a great new addition to your banner finishing products toolkit of for three reasons. 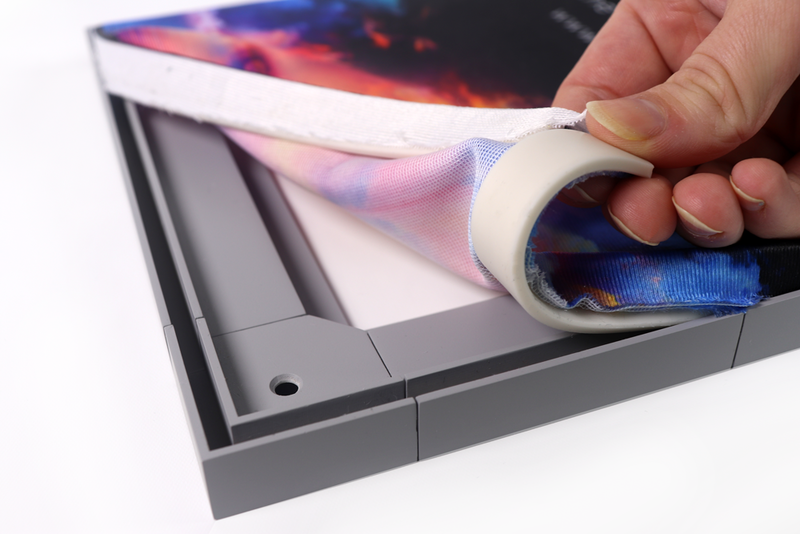 First they just as strong as Large Clear PowerTabs, however they are square in shape, so they work great both at corners and along banner edges – a “one size fits all” solution. Unlike, PowerTabs, there is no neck loop, which some customers would cut off if not used. With BravoTabs, there is no need to clip an unused neck loop. 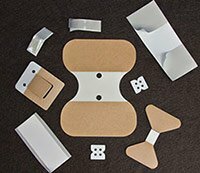 Finally, because they are a simpler shape, BravoTabs are easier to make – and that translates to a lower cost. BravoTabs are crystal clear, allowing your color graphics to shine through. 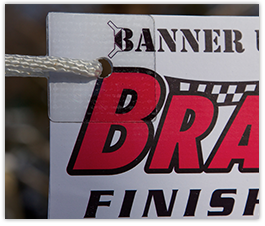 They are easy to use, versatile, and cost effective banner finishing products! New simple shape works great at corners or along edges. 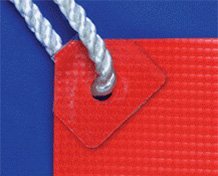 New Crystal Clear EdgeTabs (BAN 016) square shape makes them the ideal choice for banner edges when additional fastening points are desired. 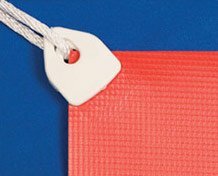 Measuring 1 1/2″ square they may also be used on banner corners as a lower cost alternative to large Crystal Clear PowerTabs for lighter weight applications. 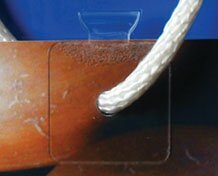 For a low-cost hole reinforcement for banner stand graphics, just cut the tab in half and place on the back of banner corners, punch a center hole, then place banner stand posts through the hole. 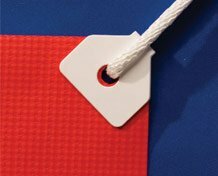 Forget about the hassle of folding over double-sided banner tape to make a banner hem! 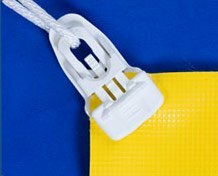 Simply apply tape over PowerTabs along the top and bottom edges on the back of the banner. 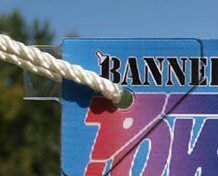 After applying the PowerTape, punch holes through the tape, tab center holes, and banner media, then run a rope through the hole. 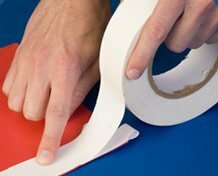 Made of heavy-duty film, PowerTape (PTAPE8615) takes the place of hemming and grommeting. 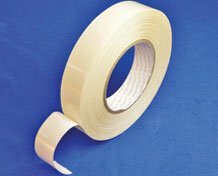 Extremely aggressive adhesive for creating pole pocket banners without sewing. 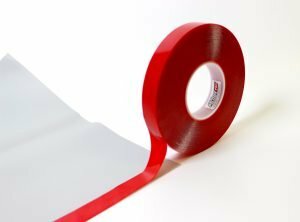 PoleTape Pro® make pole banners like a pro! 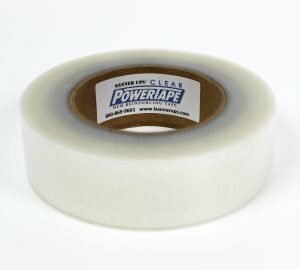 It is a double-sided version of our popular PowerTape product, made with the same super strong film. Quick and easy to install! No need to cut holes! Describe your application and we will design and manufacture a Banner Ups tab to meet your exact specifications. We love to solve your fastener challenges! Contact our customer service specialists today with any questions!